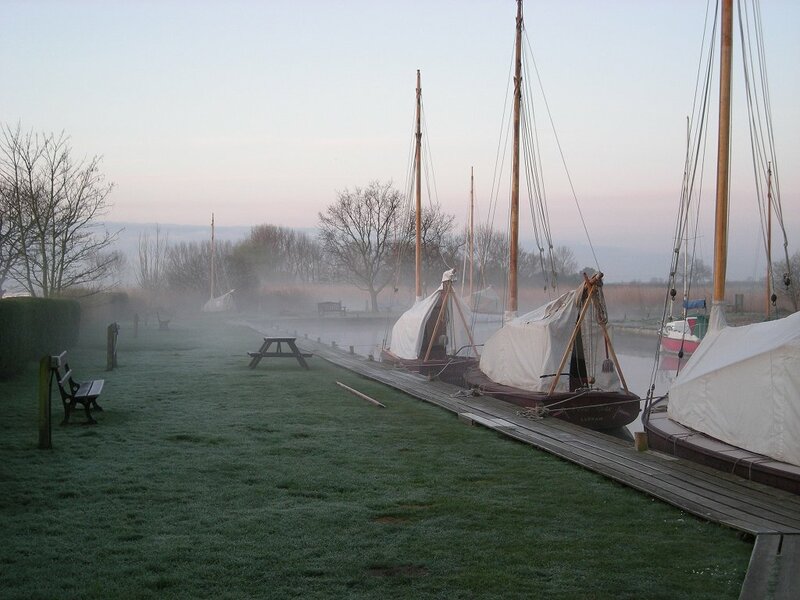 Early on Sunday morning at Hunter's yard, and the weather looks ominous. Surely we won't have repeat of last year's snowfall? Surely the weather won't always be dim and gloomy on Kestrels? Well as it turns out (sorry to spoil the ending) no, the weather was brilliant this week. Minimum three icecreams. Oh yeah. The boys from Hustler 5 show us how to chill out and let someone else do all the sailing as we coast towards Potter on Sunday morning. 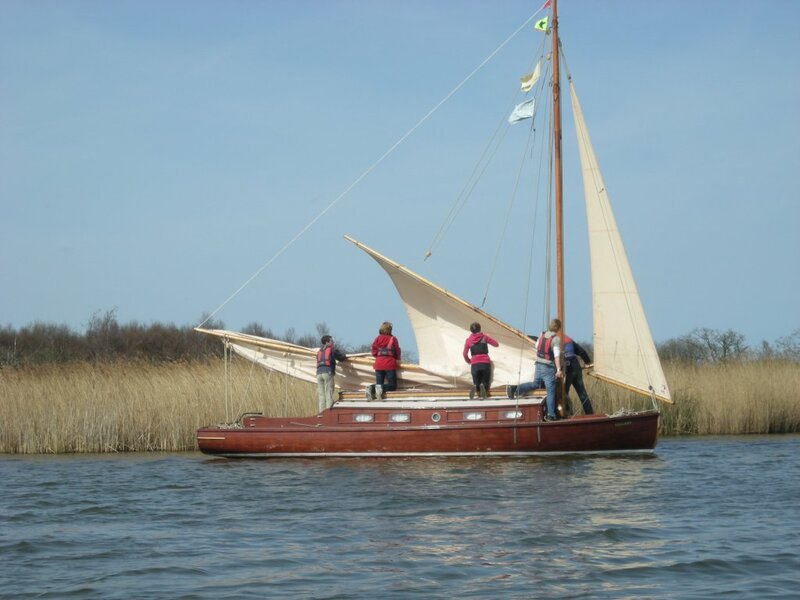 Kestrels A haven't sent us any photos yet this year, so to balance things up a bit, here's a picture of one of their boats, somewhere on Heigham Sound, near Meadow Dyke. Er, aground in the reeds, apparently. Sunday afternoon on Horsey Mere, and Alan and Ed had stopped near the shallows for an unorthodox bit of mudweighting. And how best to add to this unusual configuration? 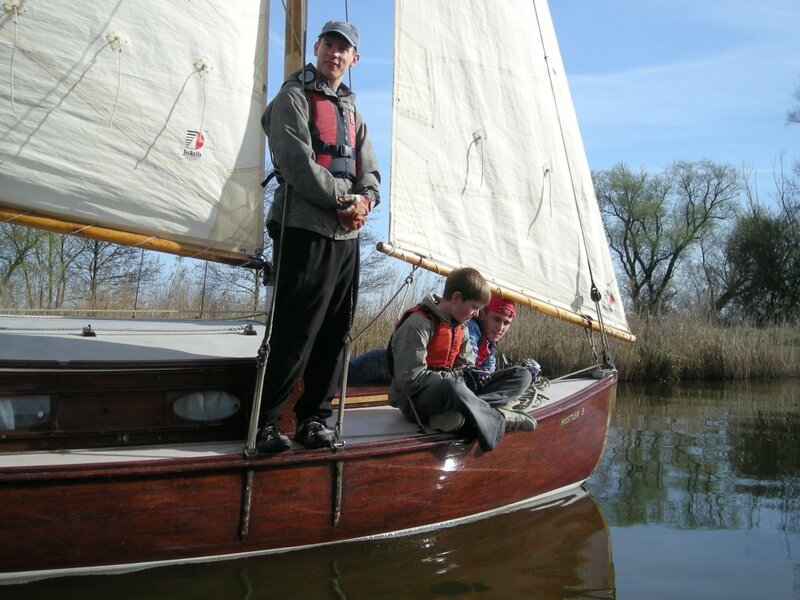 Why, by shoving Sorrel bow first right between them, cunningly moored stern to wind using the mudweight. 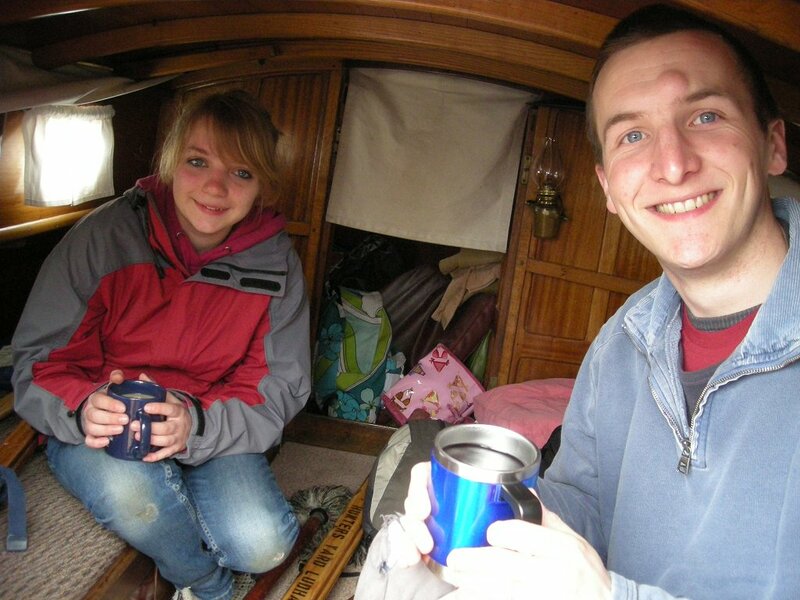 Matt and Millie relax with a nice cuppa inside Sorrel. No one's sailing the boat! Technically, this somewhat alarming possibility is, in fact, true. 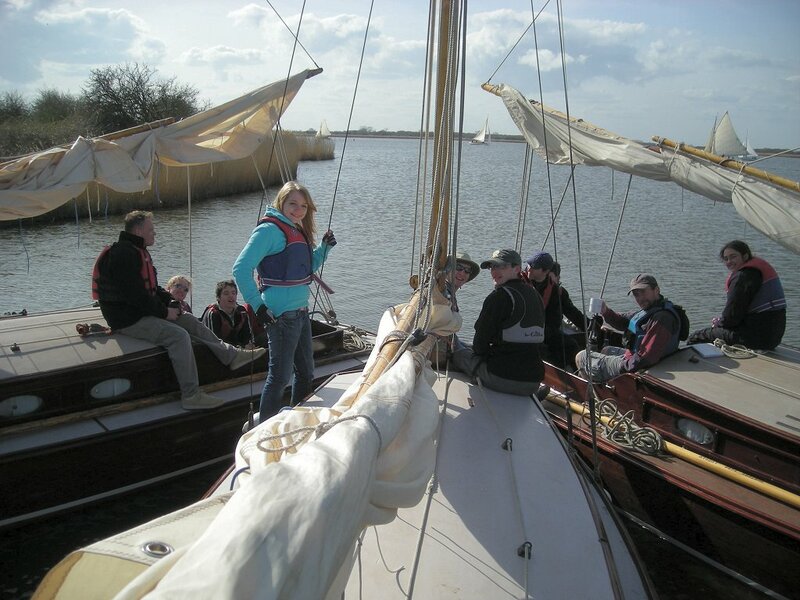 However the skipper is hiding below the helm, just out of shot, while the crew look out for trouble. And why you ask? 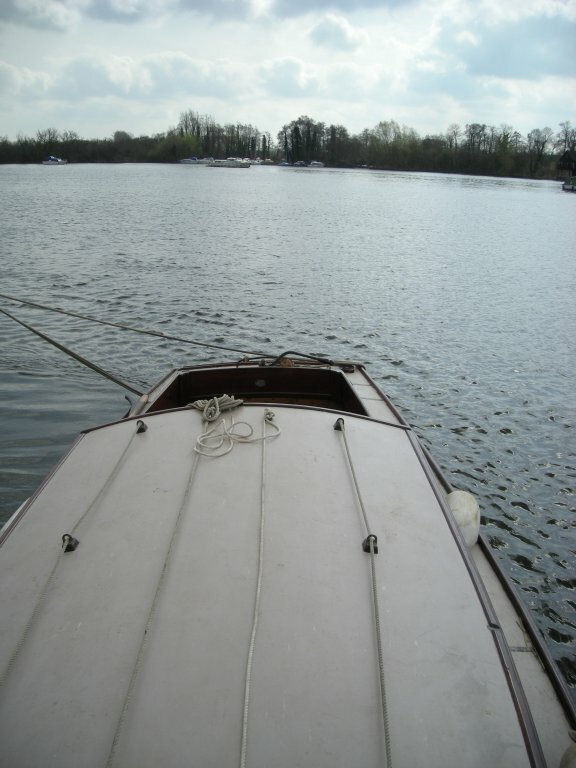 To find out what happens when you simply let go of everything on a Wood boat. The answer - it varies. Sorrel here tacks about in a nice figure of eight. 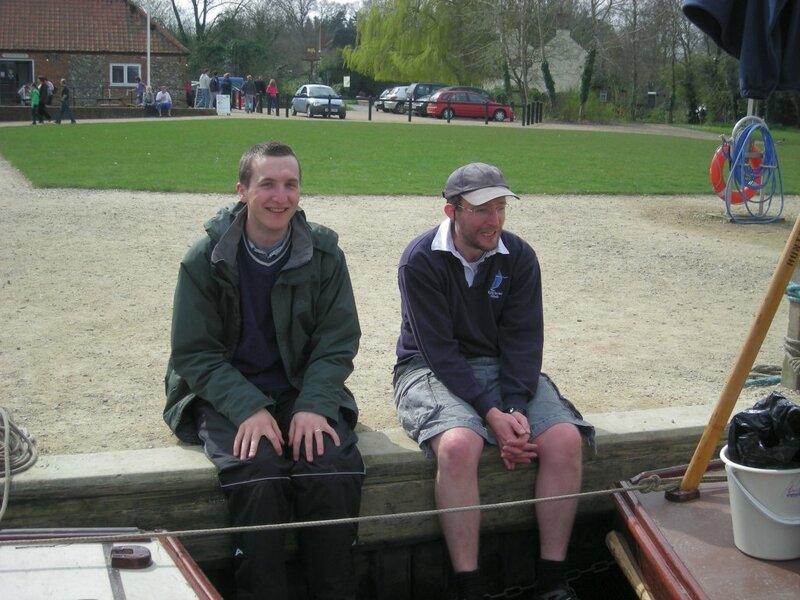 Matt and Ed relaxing at Ranworth Staithe. See the sunshine? This was one of many ice cream stops. Ignore the photos from last year. The snow is a lie. 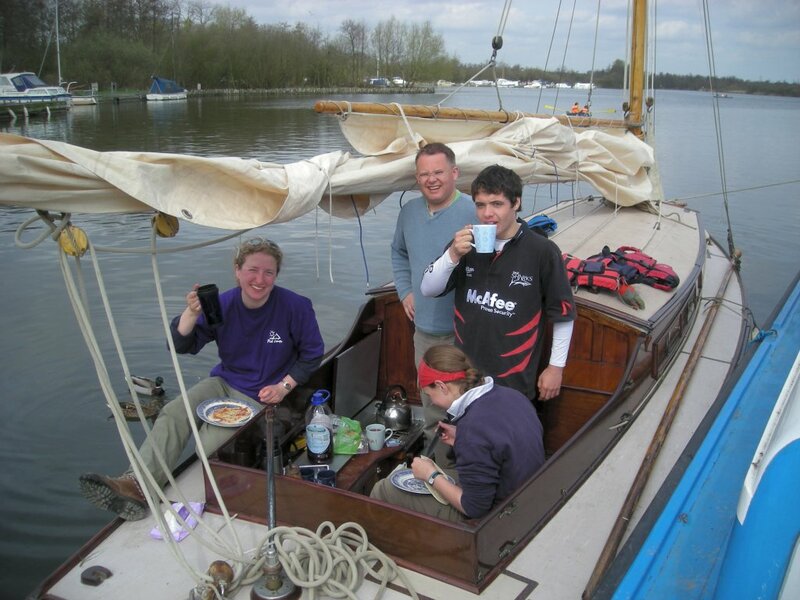 Rachel, Alan and Ed pose helpfully during lunch at Ranworth. Emma's obviously too preoccupied with food, a common B cruise trait. 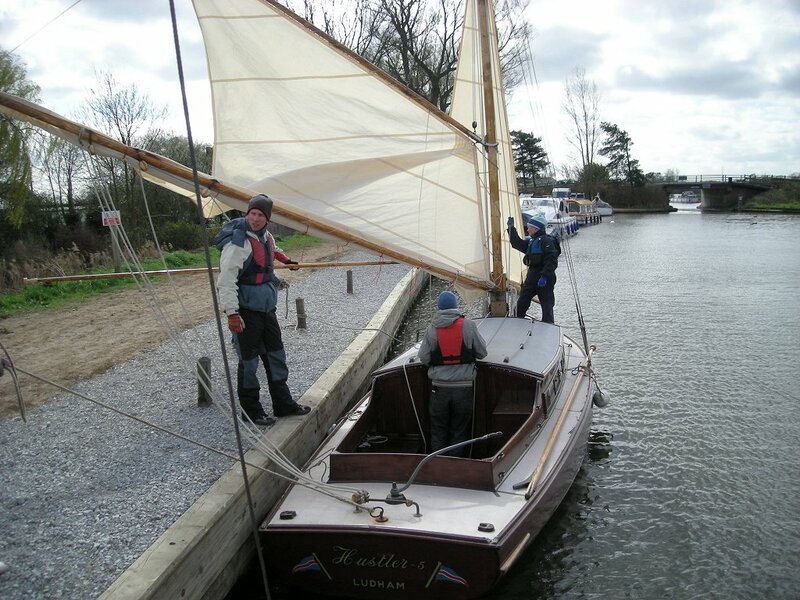 Phil and crew preparing to set off from a leebank at Ludham bridge. At first glance it appears as though Phil is wielding a quantpole in his tiny arm, but it's actually someone standing behind him doing it. 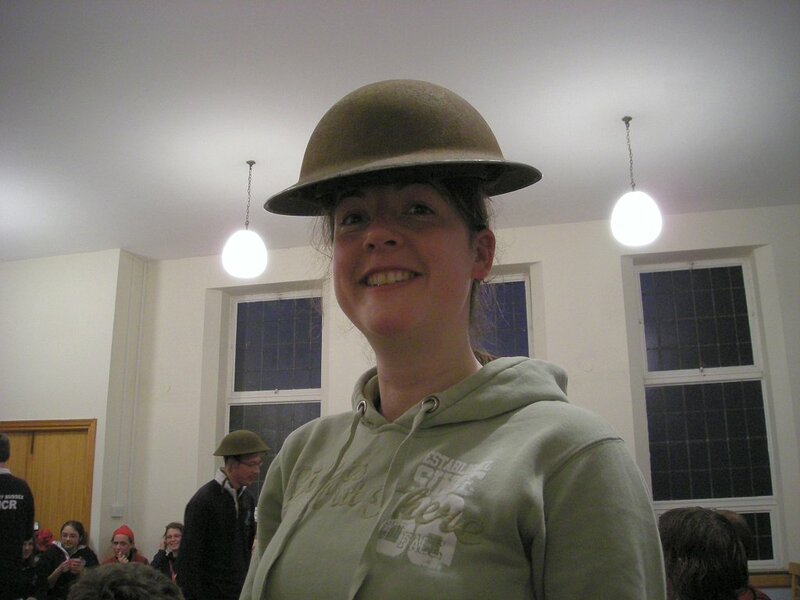 You're our 10,000th visitor! Congratulations. To claim your prize, call in at your local Woolworth's within the next twenty minutes, and ask for John.